[SatNews] PGA TOUR Entertainment needed more live contribution content for its vast distribution networks—the requirement led it to Adtec Digital. The challenge was to deliver more excellent quality live contribution back to the PGA TOUR Entertainment production facility. Adtec Digital provided exactly what was needed by supplying a proven, reliable, and innovative contribution solution consisting of 10 live streams encoded in 1080i AVC 4:2:2, encrypted, multiplexed and then transmitted using one 36MHz transponder saturated with 32APSK yielding 125Mbs. 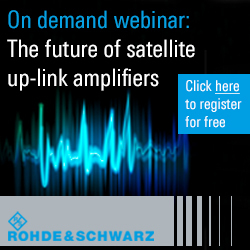 The solution consisted of Adtec's EN-91P 1080P AVC platform, DTA-3050 Mux and RD-70 IRDs. 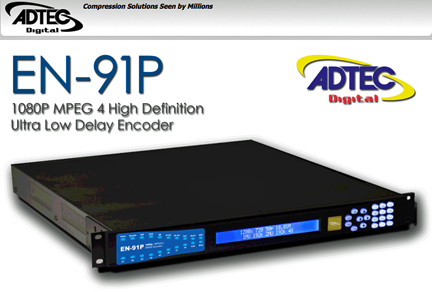 For the PGA TOUR Entertainment "Transmission Hub" application, the EN-91P encodes and BISS encrypts 1080i AVC 4:2:2 at 12Mbs per service which is then multiplexed in the DTA-3050 and, transmitted using 32APSK delivering 125Mbs in a 36MHz transponder. The DTA and EN-91Ps can concurrently deliver the transport streams over Ethernet. "The DTA is a proven, reliable, high performance multiplexer ideally suited for dense contribution applications," said Kevin Ancelin, SVP of sales and service for Adtec Digital. "It provides the glue that ties the 10 services into one high performance MPTS. The EN-91P followed the EN-81 and EN-91 into the market as the MPEG 4 AVC 1080P capable encoder of choice for broadcasters globally. All of Adtec's EN series encoders deliver the most reliable, highest broadcast quality services available for the best fair market value. "We use the Hub to support various projects," said David Dukes, PGA Tour Entertainment's Senior Director of Technical Operations. "One of the main shows we support is our weekly international telecast of PGA TOUR events. We're also using it to support various individual international broadcast partners working on site at our events. Now that we have 10 concurrent live feeds to source content from, we are able to deliver a richer and more comprehensive distribution package than wasn't previously capable prior to deploying the Adtec Compression platform." For this solution, Adtec's sales and sales engineering, along with the PGA TOUR Entertainment's engineering and management, working with the RF experts at Mobile Satellite Connection, worked collectively to develop the requirements, test, and ultimately deliver an excellent quality, dense and reliable contribution solution. "PGA TOUR Entertainment trusted us from the concept, to testing and ultimately fulfillment of a perfect platform for their requirements. Adtec's compression platform performance and value is unmatched. Our use of and expertise with 32APSK DVBS2 transmissions along with our partners at Mobile Satellite Connection continue to reinforce Adtec's leadership in the live contribution market globally," added Ancelin.